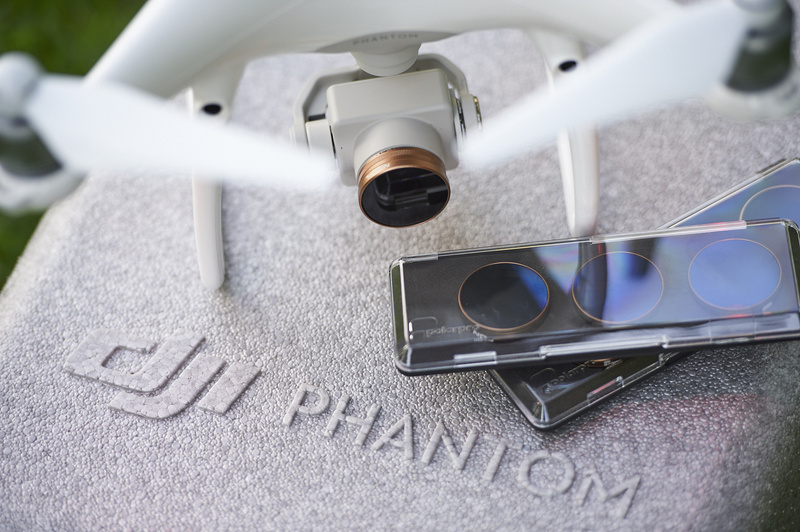 Included in the box are two stickers denoting compatibility with the Phantom 4 Pro/Advanced. This set is not compatible with any other models, including the Phantom 4 standard, so if you have multiple quadcopters this will help you keep organized. 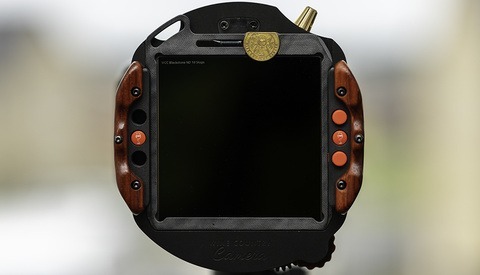 There are cheat sheets included, one for the "Vivid Collection,” which discusses the three neutral density and polarizer combination filters, and the "Shutter Collection," which applies to the three ND filters. Each set of three filters comes in its own plastic carrying cases which are much nicer than I anticipated. The filters fit nicely inside with custom cut foam the cases easily fit into the stock DJI storage case or a pocket. The Vivid Collection features polarizing filters that also add neutral density for a less bright image, faster shutter speeds, and more vivid colors. 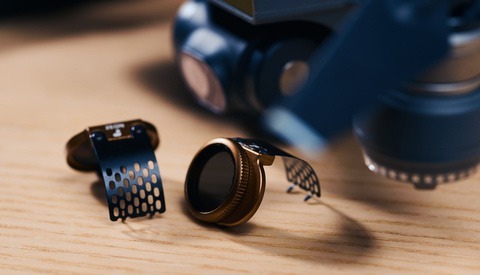 These are circular polarizer filters so they can be rotated easily but are manufactured with tight tolerances so they’re not going to spin in flight. Ideally these are installed when the quadcopter is powered off to prevent damaging the gimbal. 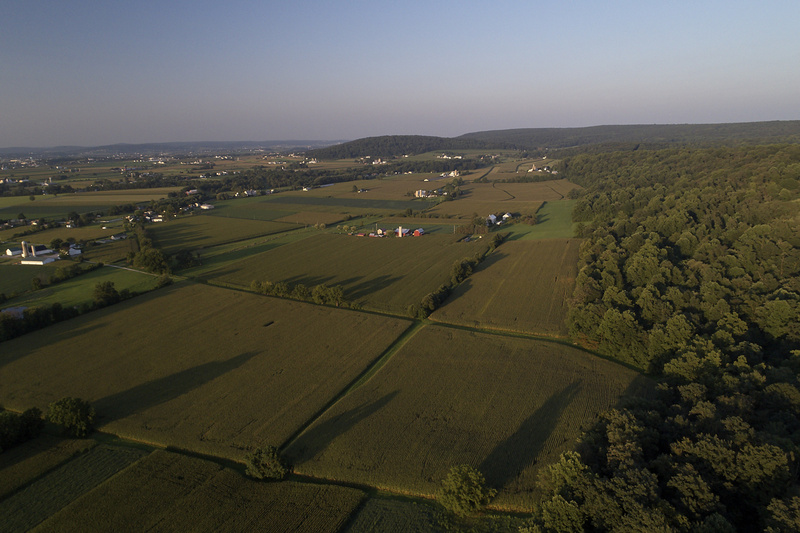 When powered on, before takeoff, hold the camera and spin the polarizer filter while checking the display on your controller to find the best position for the best image quality. Two-Stop Neutral Density plus Polarizer (ND4/PL) (5.67 grams): This filter reduces the camera's shutter speed by two f-stops and polarizes light. We use this filter most often when filming at dusk or dawn, or on cloudy days. Three-Stop Neutral Density plus Polarizer (ND8/PL) (5.6 grams): Reducing the camera's shutter speed by three f-stops, the ND8/PL is the perfect filter for partly cloudy days. The polarizing aspect of this filter reduces glare and increases color saturation. Four-Stop Neutral Density plus Polarizer (ND16/PL) (5.6 grams): Our go to filter when it is sunny out, the ND16/PL reduces shutter speed by four f-stops and polarizes the scene for capturing vivid colors on bright sunny days. Three-Stop Neutral Density (ND8) (4.24 grams): The ND8 filter is what we use on partly cloudy to mildly sunny days where we need to knock the shutter down by three f-stops. Four-Stop Neutral Density (ND16) (4.24 grams): The ND16 filter is what we use on very bright days to reduce shutter speed by four f-stops. We generally use the ND16 filter while filming in the desert or over snow. Five-Stop Neutral Density (ND32) (4.24 grams): On extremely bright days, the ND32 reduces the camera's shutter speed by five f-stops, allowing you to capture cinematic quality content even in the brightest conditions. Before jumping into my findings, it's important to take a look at how the Phantom 4 Pro/Advanced are designed to function. The DJI Phantom 4 Pro/Advanced has a mechanical shutter, achieving exposures as fast as 1/2,000 of a second to minimize rolling shutter issues. The electronic shutter shutter kicks in after that making exposures as fast as 1/8,000 of a second. 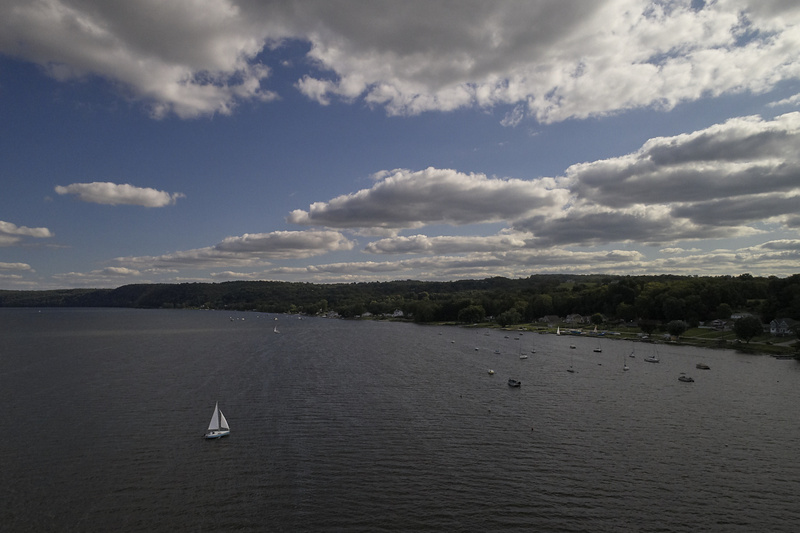 For my tests, flying with aperture-priority mode enabled, ISO 400, and aperture at f/11, shutter speeds went from 1/1,250 of a second with the stock UV filter down to 1/80 of a second with the ND/PL 16 filter. That’s a four stop reduction in identical lighting conditions; the Phantom faced the same direction with slightly different with compositions separated by a few minutes for a filter swap. 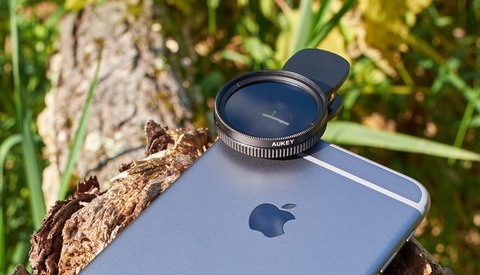 In bright conditions, you can effectively ensure you're utilizing the mechanical shutter with PolarPro's filters. These example photographs are unaltered save for lens distortion correction. The definition of clouds and blue tones in the sky feature natural looking highlights and colors, while glare is heavily diminished, enabling content to be graded even better in post. There was no degradation of sharpness whatsoever in the images viewed at 100 percent using any of these filters. Apart from the ND/PL filters, the ND filters would have achieved the same extended shutter speeds if a stock aesthetic was desired. A quick note regarding the gimbal guard. 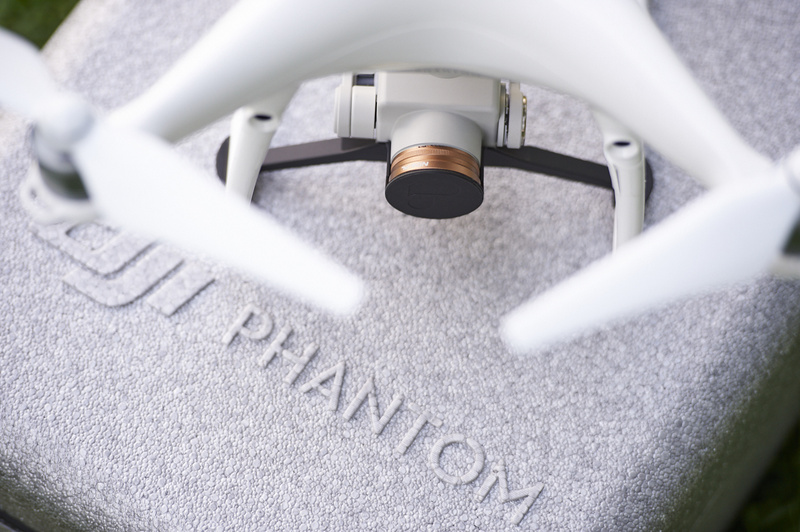 The DJI Phantom 4 Pro includes a threaded UV filter installed from the factory. PolarPro's filters thread on nicely, replacing the stock UV filter which has a slightly thinner profile. That means the stock gimbal guard won’t work with PolarPro filters installed so I picked up their black guard in its stead. I think it's an improvement over the stock version, being quite rigid and harder to loose/easier to notice for removal before each power up of the Phantom. Despite the added thickness in the PolarPro filters, I did not notice any additional vignetting in the corners as compared to that of the stock UV filters while utilizing the entire image sensor. Superb design and optical quality. Excellent storage case to keep the filters protected while on the go. Being a photographer, the ND/PL series are my favorite filters. I will probably use the stock filter only in the lowest light conditions to keep the ISO low. While there is a price break for PolarPro's Cinema Series, the Vivid and Shutter Collections are also available individually. The stock gimbal guard won't fit while PolarPro filters are installed, though I like the PolarPro version better anyway. I might paint mine red or orange so I am more likely to remember removing it before powering on the Phantom.